Thanks for choosing my caption Spinney. Santa: Here ´s yours, cunliffe! Drink up, my little flower! Me: Cheers, Santa, that ´ll do nicely. Merry Christmas, old boy! Away fizzy water ! I want true champagne baubles ! 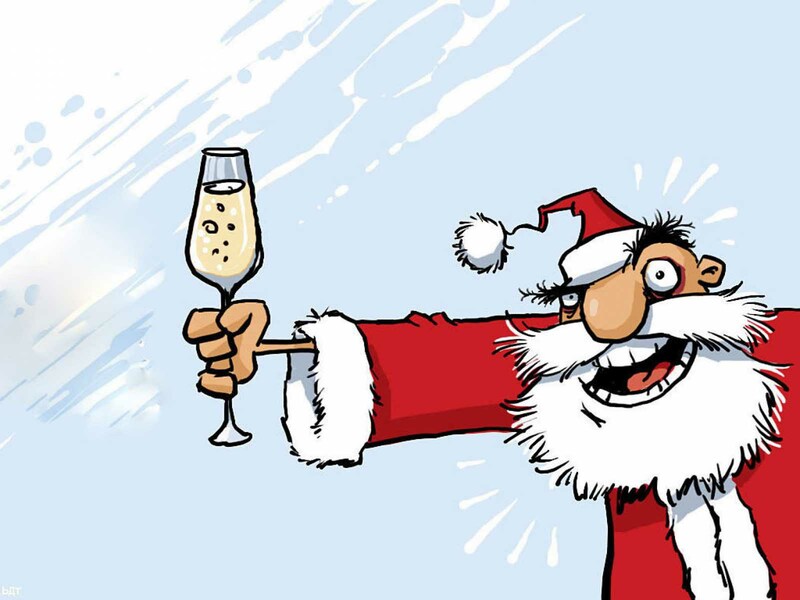 Happy New Year ´s Eve from Santa Claus! It ´s nice to be on vacation! Christmas scarecrow $9.99. Deliverable by Dec. 24th if you order in the next 5 hours. My dear teachers, who are trying to make up a caption for my Santa Clause´s wide smile. Ho ho ho HIC! HIC! @Spinney Ho ho ho hic hic ha ha!